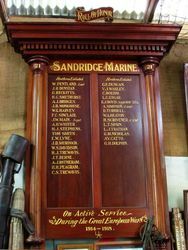 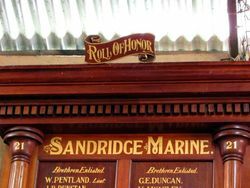 Sandridge Marine Lodge No. 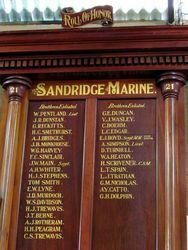 21 Honour Roll commemorates members of the lodge who enlisted for active service during World War One. Note : Sandridge Marine Lodge 21 was a masonic lodge of the Freemasons.